SAKTI SIKHA under the flagship programme of NATIONAL ENVIRONMENT AWARENESS CAMPAIGN 2010-11 has organised a one day workshop on "Agro Bio-diversity Management for Eco Friendly Agriculture". 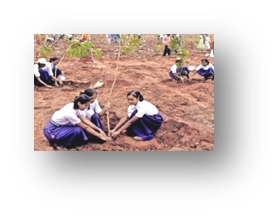 The pgrogramme was funded by the Union Ministry of Environment and Forest, Government of India. The workshop advocated the effects of Climate Change on Agriculture and suggest measures for reducing the effect. Focus was on the practice of Organic farming activities with specific emphasis on Green Technology, Use of bio-fertilizer and bio-pesticides, mixed cropping/inter cropping, Systems of Rice Intensification (SRI) methods for sustainable rice production and Vermicomposting as well. 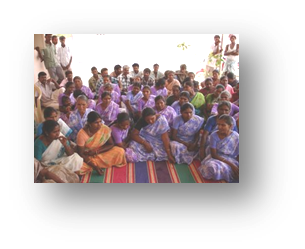 Small and Marginal Farmers, members of women SHGs were the primary stake holders. Farmers were advised to practice bio farming systems for sustainable production and ensure Food Security. Women SHGs were recommended to take up bio-fertiliser and vermicompost as an economic activities. Managing Agro bio-diversity will leads further to soil and water conservation and will reduce chemicalization of agriculture and food grains. SAKTI SIKHA works towards raising awareness on climate change and CDM through organizing issue based events, workshop, policy dialogues and field based plantation. The awareness drive were implemented in a efforts to combat global warming & green house effect. Safe & Portable drinking water for all is a major challenge before the community of our working area, especially in the hilly villages of Mayurbhanj district. SAKTI SIKHA sincerely initiates its efforts towards water management as it is a vital input for the development of agriculture, industry and service sectors so also the mankind itself. In its activities to ensure access to safe and adequate drinking water and sanitation are key to the well being of our people. Drinking water is one of the key components of development programme for building efficient, modern rural infrastructure. Awareness drive, capacity development activities were initiated by SAKTI SIKHA among the rural community of the village for the effective use of water & managing water to ensure water for all.